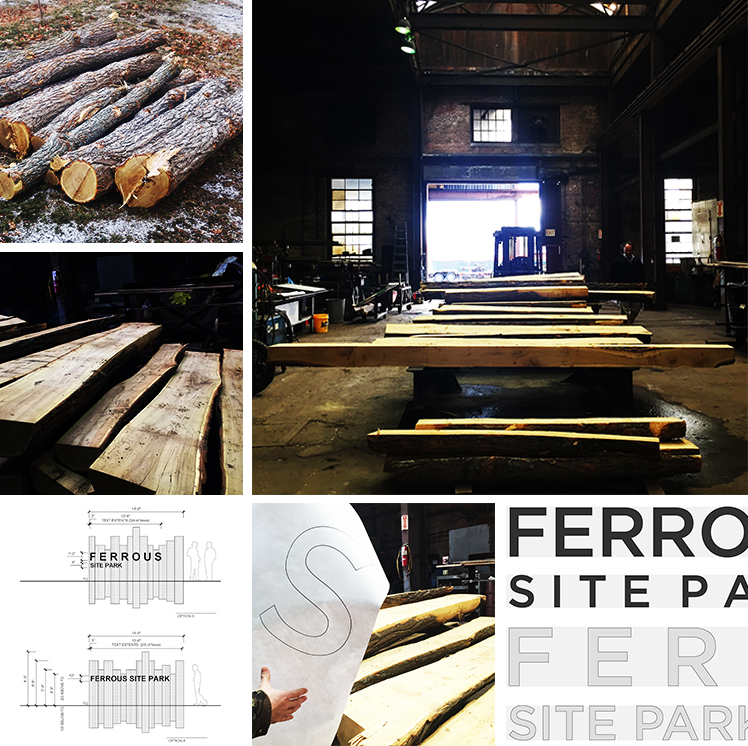 STIMSON is digging into a series of signage options for the recently opened Ferrous Site Park in Lawrence, MA. We are currently studying a timber entry sign made from Black Locust trees that had fallen on site. After being taken to a local shop to be milled, the timbers were then transported to a nearby metal fabricator, who is working with us to develop steel forms that will be used to “brand” (burn) the name across a series of upright timbers. Stay tuned as this process unfolds!